I forgot to write something for this week. I have a friend whose brain I will occasionally pick for ideas when I get stuck. Her name is “M”… actually, that’s only her first initial, but in case she desires anonymity, for now it’s just M.
Jen: I forgot to write a thing for this week!! Do you have any funny videos or essay suggestions?? EEEEK! Jen: Ooooh. Yes but no. Jen: Holy CRAP! 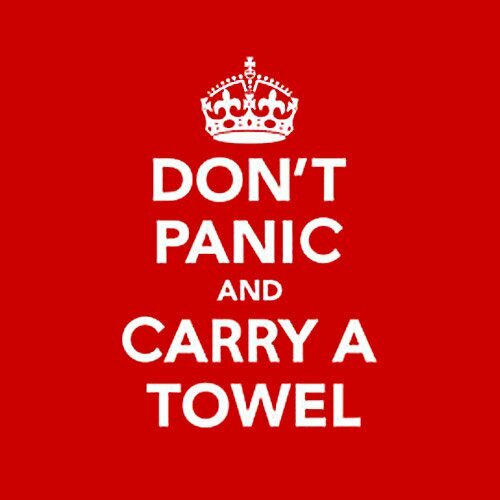 How could I forget TOWEL DAY? M: Do you have a towel? M: Doesn’t that make it a napkin? Jen: No. It’s from the bathroom. M: So…. It’s toilet paper? Jen: No! Dude… it’s a paper towel from the bathroom. M: Why do you use paper towels in your bathroom? How do you dry your hair? Jen: What? No! It’s a paper towel from the bathroom at work. M: That so doesn’t count. M: No it doesn’t! How could that possibly count? 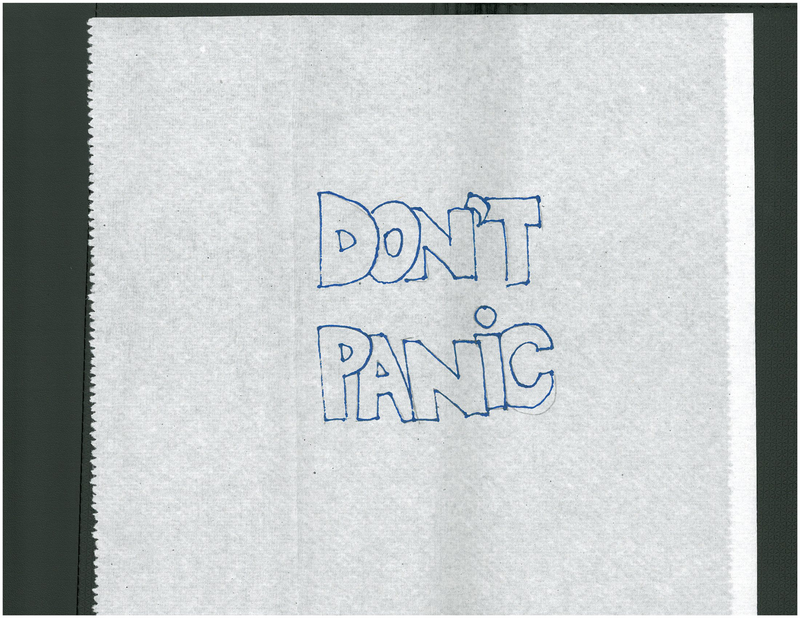 Jen: I drew “Don’t Panic” on it in large friendly letters. M: … … that might count. I have this creative blank when it comes to art. Specifically, drawing art. When it comes to putting colored pencil or crayon to paper, I cannot seem to create something completely original unless it is a set or costume design. Otherwise, I am an excellent “copy artist”. When I use this term, I do not mean that I am a “plagiarist” because I do not copy others artwork and claim it as my own divine creation. What I mean is that I can look at an existing piece of art and do a relatively good (by no means photographic) representation of it. This has come in handy for the game Draw Something which I have recently become a fan of like so many millions of other doodlers of varying skill. I know that some folks might be inclined to say that I’m cheating and that the point of the game is to draw your own best example of the word presented. 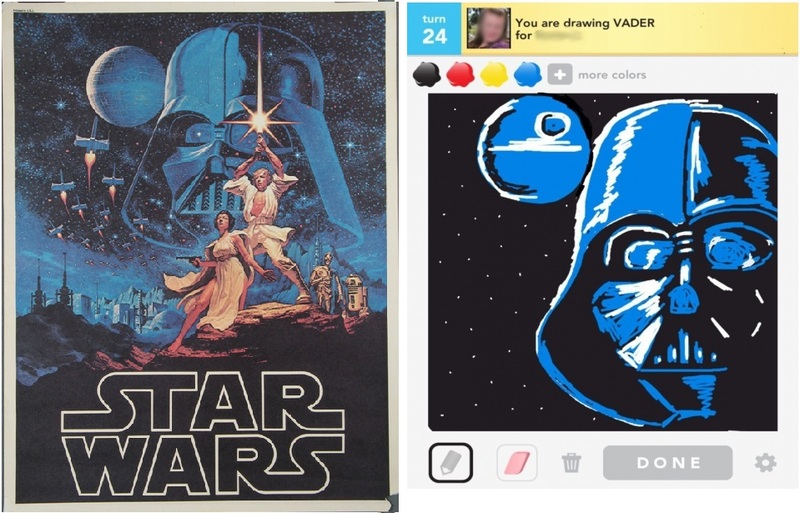 But, here’s the thing, if the word is “Vader” I can’t just spontaneously draw an image of Darth Vader. I can picture him clearly in my mind, but I can’t translate that image in my head to the screen. What I can do, and am pretty good at, is actively look at a picture of Darth Vader, and then draw that image on the screen – much like an artist looks at a display of fruit and cheese and then creates a still life. For Vader, I referred to the original Star Wars movie poster. 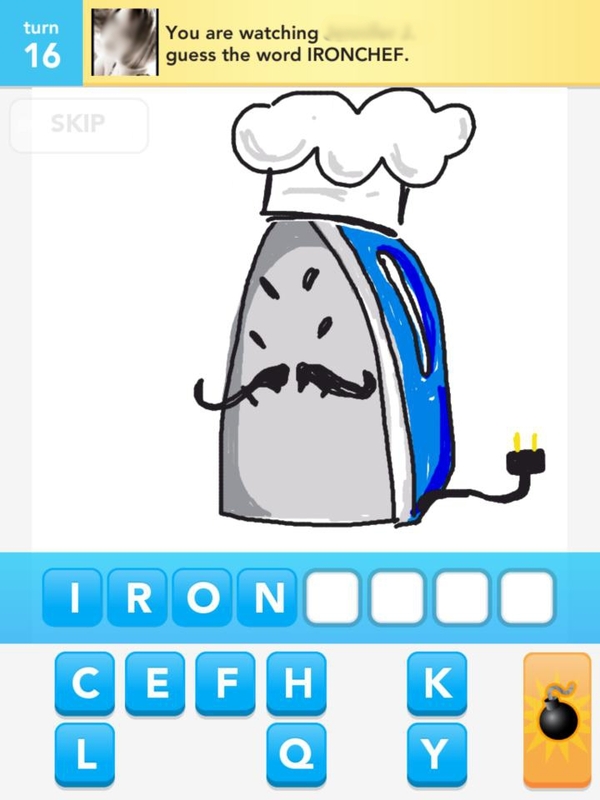 One thing I love about Draw Something is the lack of a time-limit to create your doodle. You do have an “ink limit” (which may in fact be a time limit, I’m not sure how they wrote the algorithm) but I don’t feel the pressure to hastily scrawl something out, like in Pictionary. I like that I can take my time and get as detailed as I want (ink allowing). Once in a blue moon, I am able to create something truly original, like my drawing here for “Iron Chef”, but it’s seriously rare. ‘Allo! I am ze Iron Chef. I make out of zis world grilled cheese! Am I showing off my artistic skill? Well, if I’m honest, yes. A little. But mostly I’m trying to see just what I’m capable of pulling off. 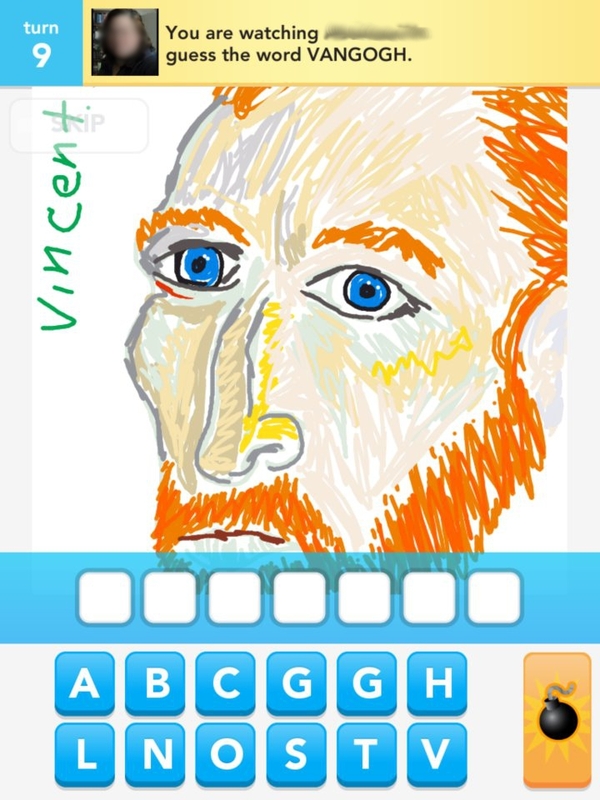 The other day a drew my best impression of one of Van Gogh’s self-portraits and I almost blew my own mind. I just sat there for a few minutes in awe going, “Holy Crap, how did I draw that?!? !” If asked to recreate the drawing I’m not sure that I could. 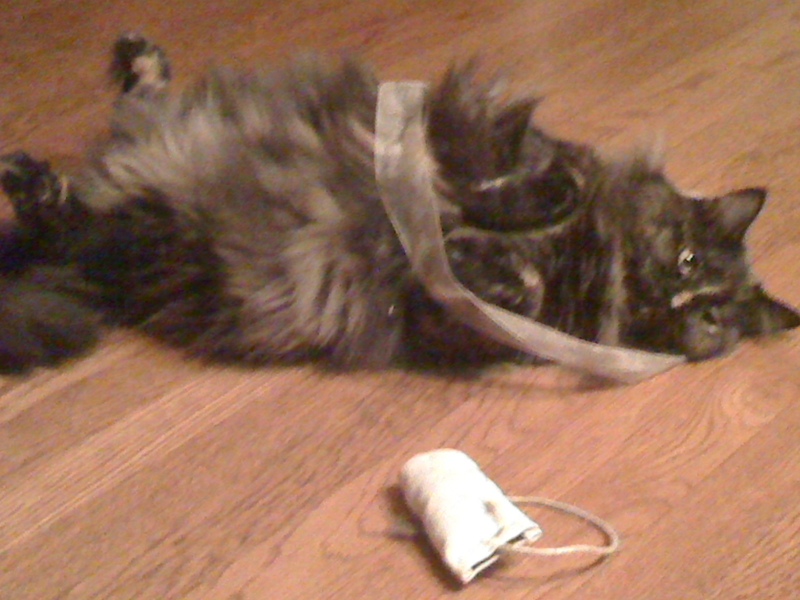 I don’t know how I did this… fortunately, no ears were lost in the process. But as nice as it is to be able to do reasonable copy work, I am constantly frustrated with my inability to create an image entirely from my imagination. Those that can are the artists that have true skill. 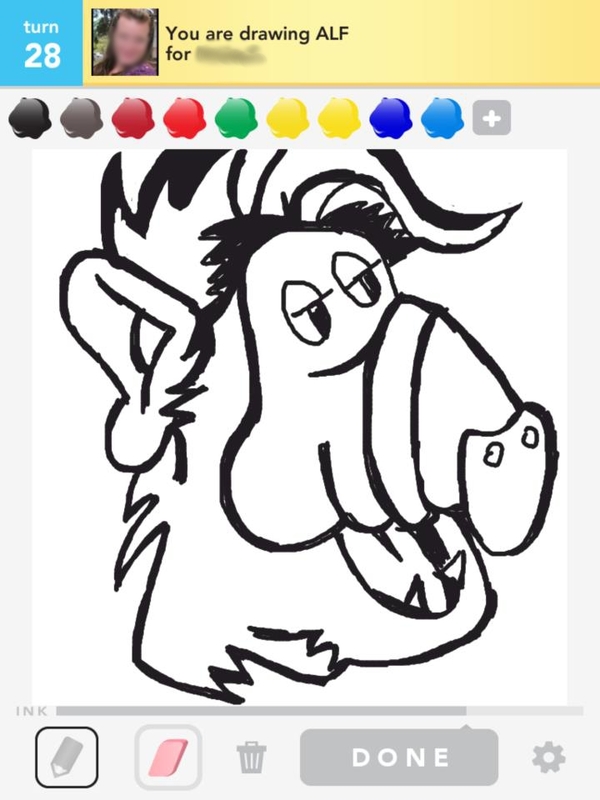 If you’d like to play a round of Draw Something with me, my user name is (predictably) Jen_Tidwell. Jen Yates of Cakewrecks and Epbot!!! How awesome it that?!?! I mean seriously!! The “geeky hats” she is referring to can be found HERE. Jen was a huge help in my “Geeky Beanie” quest and it is still such an honor to have her presence here on my humble little bloggy-blog. I never thought that surviving chemo-therapy would give me a super-power, but it has. I have discovered that I now have a Super Nose. My olfactory senses have been on over-drive ever since this time last year, when I was in the middle of treatments. 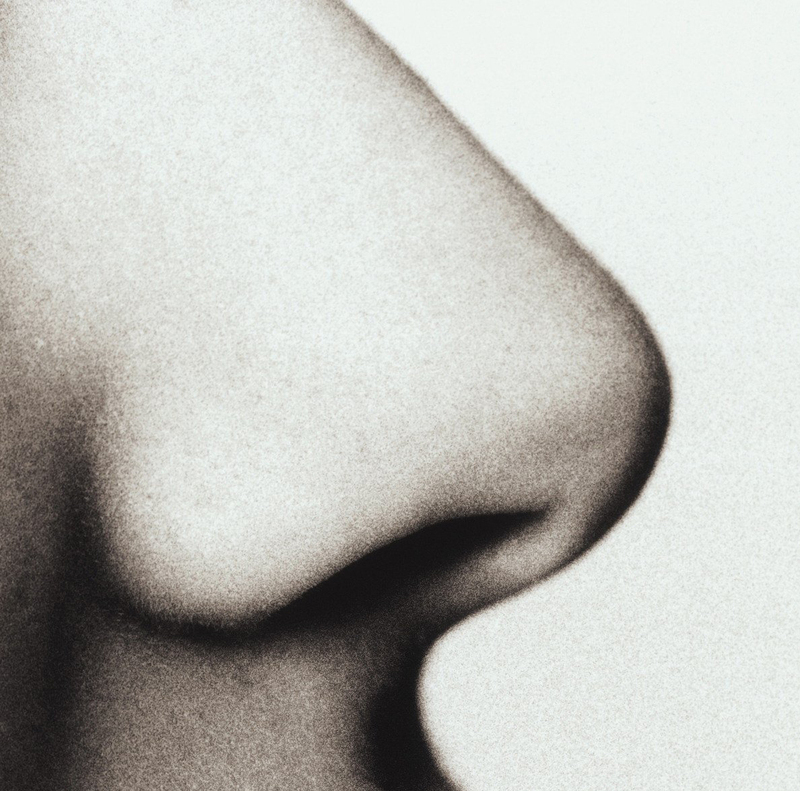 My Nose doesn’t just smell things in Black and White. We’re talking full on Technicolor! I can walk into any room and immediately sniff out the slightest ambrosia of odor. It works most effectively (of course) on unpleasant smells. For example, lately, I’ve been tuned in to poo. Yup, poo. The other day I walked into my bedroom and was overcome by the familiar sharp eau de merde. I immediately went to sourcing it out, prepared to unleash heck on which ever of our pets was the guilty party. Stop looking so cute, you know what you did! I finally found the culprit droppings all the way down in the basement, in the cat box, covered up with supposedly odor-destroying litter, like it was supposed to be. I took the opportunity to clean the cat box of this one, lonely, arguably tiny and unimpressive pile and, sure enough, it solved the rancorous problem. But any normally-nosed person wouldn’t have been even noticed the smell. 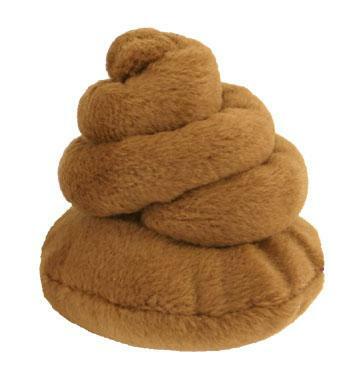 If only actual poop was this adorable…and also squeaked. 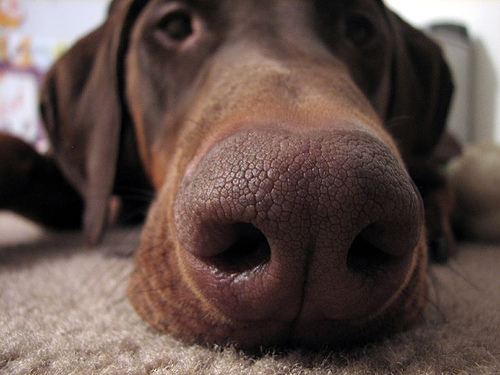 I long for a simpler time when my schnozz wasn’t so eager to prove its mettle. I can smell saline from 100 yards away. I can smell marina sauce at a league. Think you might have a sinus infection? Just stand 3 feet away from me and exhale nasally and I can probably diagnose you. Don’t even talk to me about perfumes and colognes, OY! Guys, Axe chocolate body spray is GROSS. SERIOUSLY, cut it out! The one benefit to this whole thing is that I my palate is more attuned to flavor as well. I can taste complex foods far more completely. I don’t know that I’m one of those folks who can name the ingredients of a dish by tasting, but I could probably get pretty close (especially if I was more “up” on all the spices and seasonings that are out there…I constantly confuse sage and rosemary…). Unfortunately, a side effect to this bonus-prize is weight gain, because most food tastes AWESOME. I guess, much like my nose, I’ll have to teach myself some restraint. 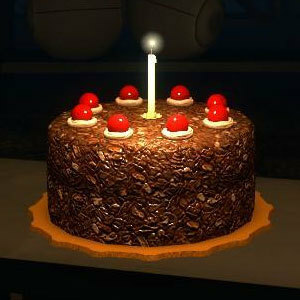 Besides, I’ve heard the cake is a lie. 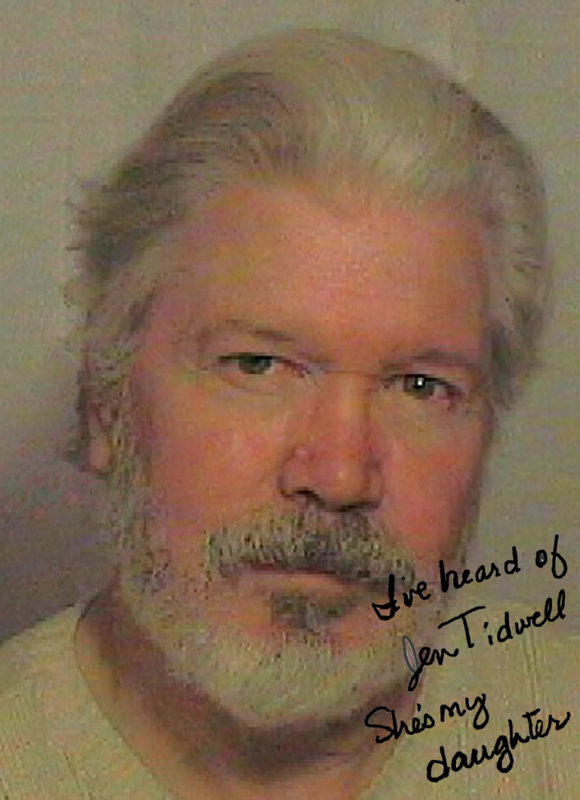 My Dad, actor Byron Tidwell! Here looking only slightly like your creepy Uncle Norm. Thanks, Dad! If you’re in Las Vegas this summer you can catch him as Fagin in Oliver! I’ve got a super exciting gallery edition coming next week, so stay tuned! There’s liable to be tons of Star Wars-related stuff out there today, and who am I not to join in? Look, if I go missing in the next 48 hours, will someone please call Wil Wheaton? 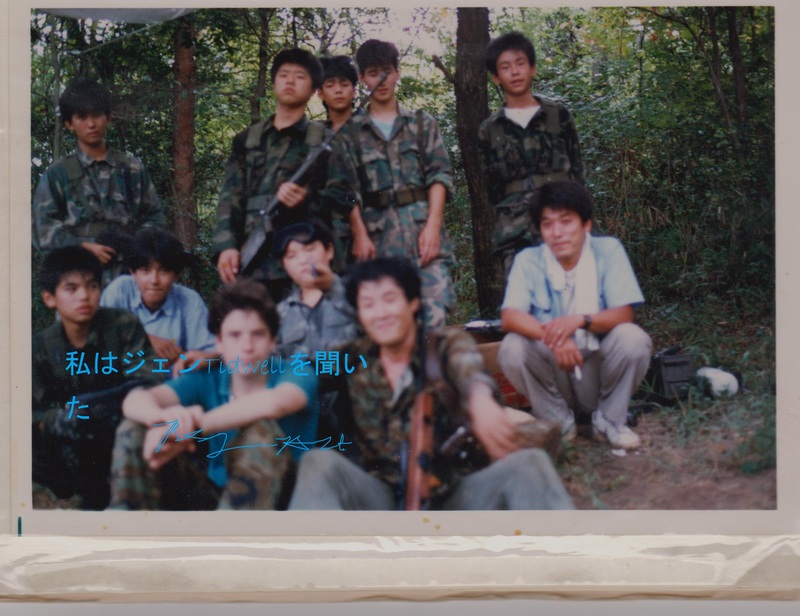 I’m sure his experience in Toy Soldiers will get me out of whatever scrape I might be in….